So you fear swallowing spiders or scorpions in your sleep. This application only works because the Original Buff® is anti-odour for a lifetime. Else it would start smelling very soon. Buff® uses Polygiene™ technology for this. The best money can buy and the only one that is non-toxic and non-irritating. For more info click here. Here I recommend to breath out through your nose. The warm air circulates around your face and gives you extra warmth. There is no colour preference for this application. 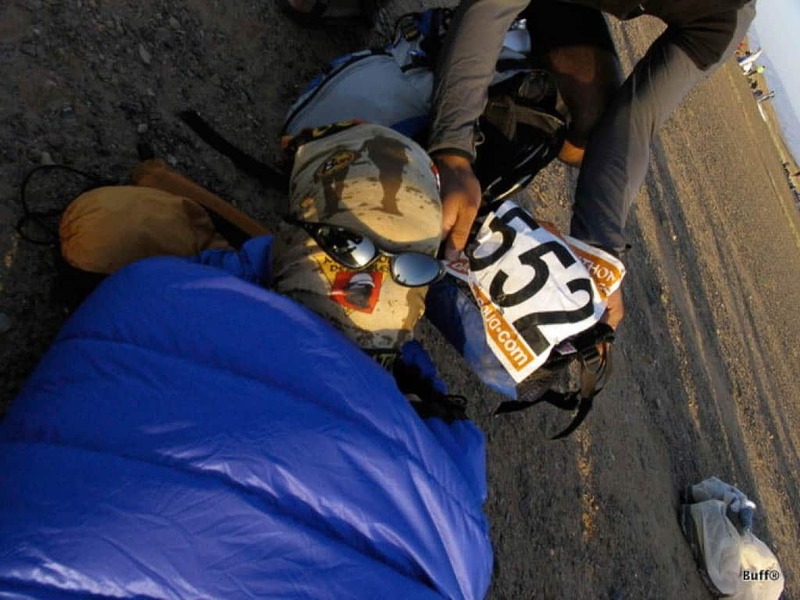 The design shown is a custom design for the 2004 Marathon Des Sables. Click here for all available Original Buff® designs.